Ayman al-Zawahiri calls on Muslims to wage war against the US. The leader of the Al-Qaeda terrorist organization on Tuesday called on Muslims to wage war against the United States throughout the world, The Associated Press reports. The comments by Ayman al-Zawahiri came in a 30-minute speech which was translated by the Washington-based SITE group, which monitors media material by jihadists across the world. In the speech, Zawahiri cited Washington's relocation of its embassy in Israel from Tel Aviv to Jerusalem as evidence of the fact that the US is an enemy of Islam. "America (is) the number one enemy of Muslims ... despite of its professed secularism," Zawahiri said in the video. He listed 14 directives to fight the United States, including an appeal for Muslim unity and jihadists close ranks. Zawahiri previously released a recording on May 14, the day on which the US relocated its embassy to Jerusalem, in which he urged Muslims to carry out jihad against the United States over the embassy move. 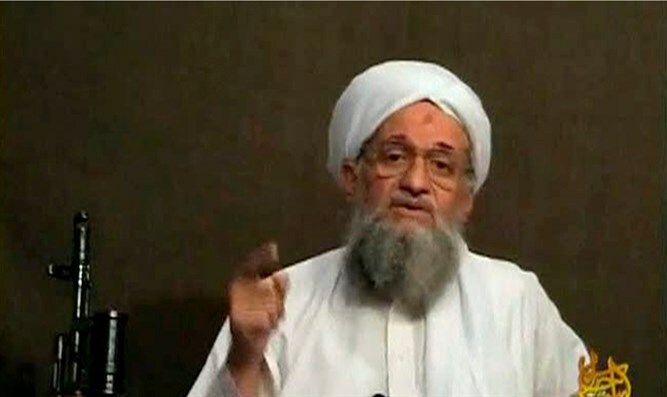 Al-Qaeda often releases recordings of Zawahiri, though their veracity cannot be confirmed. In one such recording, released in 2015, Zawahiri welcomed terrorist attacks in Israel and called for Muslims to work to “liberate” Jerusalem. He has in the past called on Muslims to unite to attack Western and Russian targets. Zawahiri took over as Al-Qaeda leader from Osama bin Laden, who was killed by US special forces in Pakistan in May of 2011.